In just a few minutes you will receive a confirmation email from us. 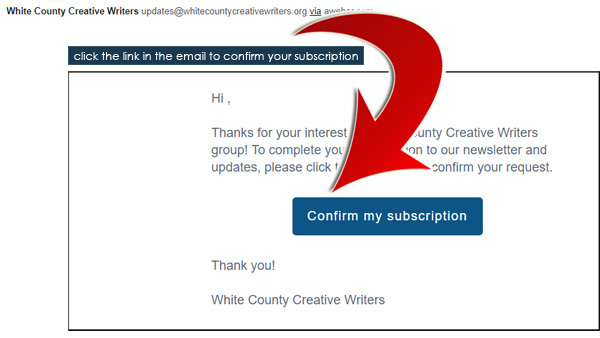 Please check your inbox for a message from White County Creative Writers. You will need to confirm your request — just click the indicated link in the email — and you’ll be good to go!